Robin Bush, born Pauline Robinson Bush in 1949, was George H.W. Bush and Barbara Bush's second child. She died of leukemia in 1953, just months after a "shockingly abrupt" diagnosis. After the passing of former President George H.W. Bush, the internet shed a collective tear at a cartoon depicting Bush's reunion with his wife Barbara and daughter Robin. Robin, born Pauline Robinson Bush in 1949, was the couple's second child after George W. Bush. She died in 1953 of leukemia, just months after a "shockingly abrupt" diagnosis at a time when the disease was still poorly understood. Robin was hospitalized for treatment for several months, according to a Washington Post report, but passed away surrounded by family in October. "I was very close to her," George H.W. Bush told ABC News in 1999, with Barbara Bush adding that Robin "adored him." Barbara credited her husband with helping her bounce back after Robin's death: "He was very strong then. He was wonderful." 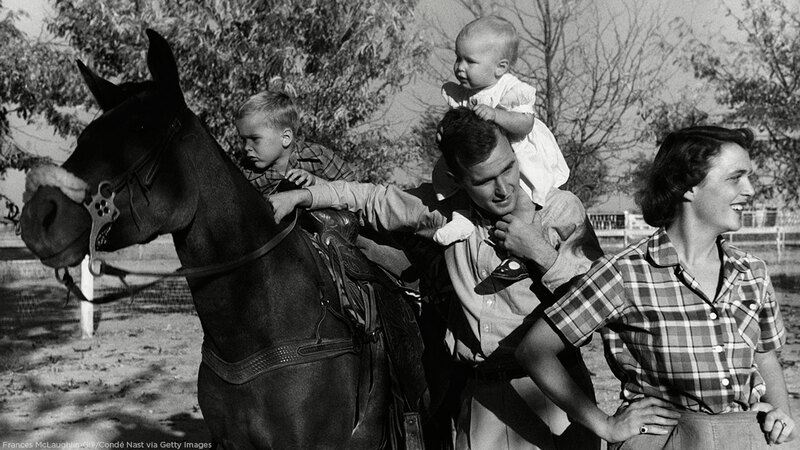 George H. W. Bush with his wife, Barbara, and their children Pauline and George W. on a horse in the yard of their Midlands, Texas, ranch. Sixty years after Robin's death, George H.W. Bush teared up when he talked about his daughter with biographer John Meacham: "Normally I push it away, push it back," he said. The death of their daughter prompted the Bushes to found the Bright Star Foundation benefitting leukemia research. In 2004, the Robin Bush Child and Adolescent Center at MD Anderson in Houston was named in Bush's honor. Bush 41 will be buried Thursday on the grounds of his presidential library at Texas A&M University at the family plot next to Barbara, who died in April, and Robin.